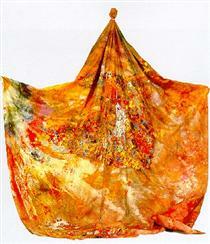 Sam Gilliam (born November 30, 1933) is a color field painter and lyrical abstractionist artist. 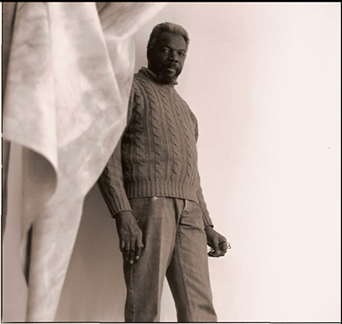 Gilliam, an African American, is associated with the Washington Color School, a group of Washington, D.C. artists that developed a form of abstract art from color field painting in the 1950s and 1960s. 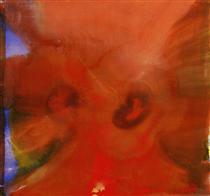 His works have also been described as belonging to abstract expressionism and lyrical abstraction. 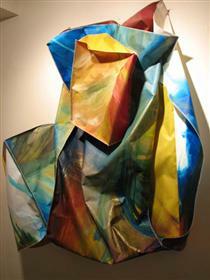 He works on stretched, draped and wrapped canvas, and adds sculptural 3D elements. He is recognized as the first artist to introduce the idea of a draped, painted canvas hanging without stretcher bars around 1965, which was a major contribution to the Color Field School. 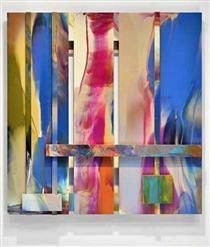 In his more recent work, Gilliam has worked with polypropylene, computer generated imaging, metallic and iridescent acrylics, handmade paper, aluminum, steel, plywood and plastic. 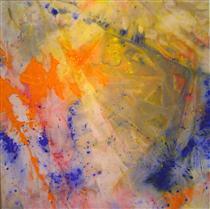 Sam Gilliam was born in Tupelo, Mississippi, the seventh of eight children born to Sam and Estery Gilliam. The Gilliams moved to Louisville, Kentucky shortly after Sam was born. His father worked on the railroad, and his mother cared for the large family. At a young age Gilliam wanted to be a cartoonist and spent most of his time drawing and was actively encouraged by his teachers.. In 1951, Gilliam graduated from Central High School in Louisville. After high school Gilliam went to the University of Louisville and received his B.A. degree in fine art in 1955. 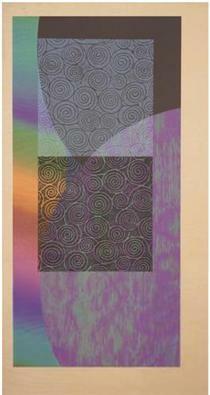 It was in the same year that he held his first solo art exhibition at the University. Gilliam later served in the United States Army, from 1956 to 1958. He returned to the University of Louisville in 1961 and received his M.A. degree in painting. Gilliam also taught art in public schools. In 1962, Gilliam moved to Washington, D.C. after marrying Washington Post reporter Dorothy Butler, whom he later divorced. Gilliam currently lives in Washington, D.C. with his long-term partner Annie Gawlak. In the 1960s, as the political and social front of America began to explode in all directions, the black artist began to take bold declarative initiatives, making definitive imagery, inspired by the specific conditions of the African-American experience. 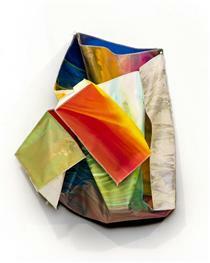 Abstraction remained a critical issue for artists such as Gilliam. 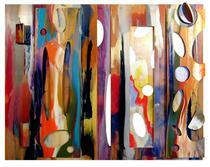 His sense of color is modulated by his study of light, color, and its transformative and changing dynamics. 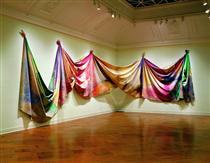 He is most widely known for the large color-stained canvases he draped and suspended from the walls and ceilings during the late 1960s and early 1970s. Gilliam's early style developed from brooding figural abstractions into large paintings of flatly applied color, pushing Gilliam to eventually remove the easel aspect of painting by eliminating the stretcher. In 1972, Gilliam represented the US at the Venice Biennale (the first African-American artist to do so). 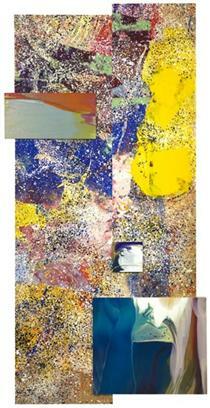 Gilliam was influenced by German Expressionists such as Emil Nolde, Paul Klee and the American Bay Area Figurative School artist Nathan Oliveira. 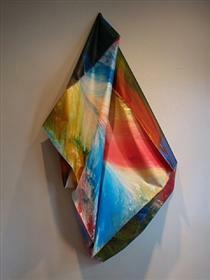 Early influences included Morris Louis and Kenneth Noland. He states that he found lots of clues on how to go about his work from Tatlin, Frank Stella, Hans Hofmann, Georges Braque, Pablo Picasso, and Paul Cézanne. In 1963, Thomas Downing, an artist who identified himself with the Washington Color School, introduced Gilliam to this new school of thought. 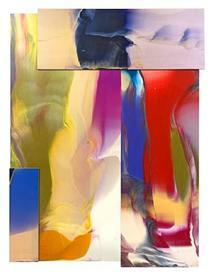 Around 1965, Gilliam became the first painter to introduce the idea of the unsupported canvas. He was inspired to do this by observing laundry hanging outside his Washington studio. His drape paintings were suspended from ceilings, arranged on walls or floors, representing a sculptural, third dimension in painting. 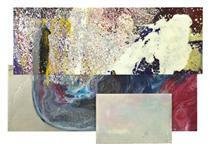 Gilliam states that his paintings are based on the fact that the framework of the painting is in real space. He is attracted to its power and the way it functions. 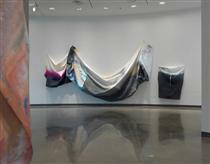 Gilliam's draped canvases change in each environment they are arranged in and frequently he embellishes the works with metal, rocks, and wooden beams. 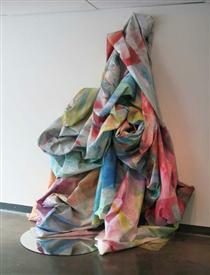 A Spring Thaw Sam Gilliam ?